I’ve been going to church camp since I was about 4 years old. My parents were district directors for our church organization and one of their responsibilities was to direct the summer youth camps. Thus began my long love affair with church camp. Last week I had the special privilege of going to kids camp with my daughter and serving as her team leader. For the record, camp is an entirely different experience when you’re 40 than it is when you are 20! Still, I would not trade the experience for all the luxury hotel rooms in the world. I realize not everyone shares my love of “roughin’ it for Jesus.” But I believe every child should experience church camp at least once, and here’s why. Camp is a great opportunity to learn a little independence, but still have plenty of adult supervision. Mom isn’t hovering about nagging reminding them to brush their teeth and make their bed. But it’s not a free-for-all, either. Kids learn responsibility and independence by keeping their bunks tidy, keeping their clothes together, and being ready on time…all under the supervision of adult leaders. On stage and off, this young lady is someone I am happy to allow influence my daughter. From the rec staff to the leadership staff to fellow campers, I am thankful my daughter was surrounded by godly role models who encouraged her in her relationship with God. Unfortunately, we have all heard news stories of terrible things than have occurred because of camp staffers. But if you do your homework and find a church or organization you trust that performs strict background checks, you can find a safe and trustworthy camp experience for your child. I am not a get-down-in-the-mud kind of girl. I’m not super athletic or competitive and I don’t really care to be dirty. My daughter is the same way. 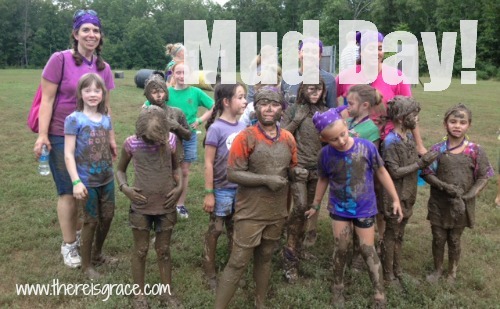 So, when I heard about Mud Day at our camp, I was a little concerned. Camp played a significant role in my spiritual life as I grew up. I accepted Christ at camp. I learned to have a quiet time at camp. I learned to recognize God’s Spirit speaking to my heart at camp. I learned to work out my faith at camp. At some point, your child will choose to either make your faith their own or reject it entirely. You can’t make that choice for them, but you can give them opportunities along the way. A Bible-believing camp is the perfect opportunity for your kids to step into their own relationship with God. For a few days they are not distracted by home life, sibling squabbles, or pressure from school. It’s just them and God. Camp is the perfect opportunity for your kids to step into their own relationship with God. We often think nothing of plunking down hundreds of dollars for soccer camp, gymnastics camp, band camp, or (fill in the blank with any other activity) camp. We will even schedule family vacations and other commitments around them, because we recognize the benefit of concentrated efforts in those areas. Imagine what could happen if we put as much effort and financial investment into our children’s spiritual development! Imagine what could happen if we invest in our children’s spiritual development. What experiences have you or your kids had at church camp? Also, check out these 10 Things to Ask Your Kids When They Get Home from Camp. Ah…church camp:) I loved it as a child and a teen, not so much as an adult…haha A couple of years ago my girl got to go to kids’ church camp with our church all on her own. That was a whole new experience for me–and her! She LOVED it though (even if she was getting homesick by the last day or so). I don’t think my son is quite ready for that yet, but I hope they get the chance to go again soon. It can definitely be a wonderful life experience! We actually start with “Grand Camp” where the *really* little kids go to camp for a weekend with their grandparent(s), giving them a positive experience with camp well before they’re old enough to go on our own. Stopping by from the Hearts for Home Hop – My boys are too little for camp, but I completely agree. I have great memories from camp as a kid and a teen – even though I am not at all an outdoor/camping/athletic type of gal. I attended church camp for a number of years when I was growing up. I especially loved the campfire songs. 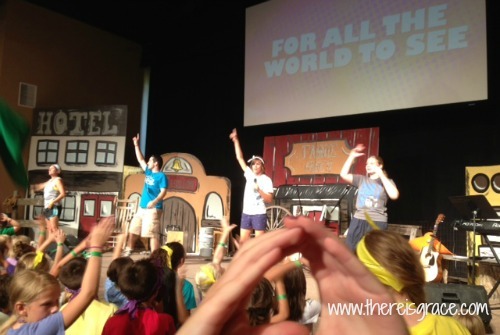 My kids didn’t attend any overnight church camps, but they loved Vacation Bible School. Thanks, Deb. I’m so glad you stopped by. VBS is a great opportunity for kids to learn spiritual development as well. We love VBS, too! HI! Visiting from Striving to Thrive link-up. I too think church camps are great! But, I have to personally be able to know the youth leaders, youth Pastors, etc… And also feel it in my heart that my child is ready to take on the limited independence, and maturity level. Not that I ever feel our children are lacking in social skills from being homeschooled – but a week of camp is a good opportunity to explore out of the normal. **The first camp for our daughter (and son, though he is older) we participated as back ground chaperone, but come the next year we let em’ loose, lol (ages approx 14). Deanna recently posted…Finale Foster Class Tonight !! Great idea. 🙂 Featuring this at Family Fun Friday! Loved this!!!! It describes exactly how I feel. Julie, thanks so much for stopping by and leaving a comment. I had similar experiences growing up at church camp as my dad was a district director for awhile. Those are some of my best memories of my childhood and teen years! Summers at church camp were some of my greatest childhood memories. I was not too far away from home so I felt secure but I also enjoyed some independence. The fire side sing a longs at night to a guitar, playing organized games, swimming, basketball, putting on shows in the theater….etc. I loved it so much I came back to be a counselor in college. Shelly, thank you so much for leaving a comment and sharing some of your fabulous camp memories! As the manager of a small bible camp I want to say thank you for saying what we travel all over our area telling parents and churches. What you’ve written here is succinct and perfect for all those who might be the least bit hesitant about sending their children to camp. As one who has also attended camp for nearly 20 years, I want to also say that what you’ve said here is perfect for those of us who are “lifers”. Thank you for these thoughts and for sharing your passion. Would it be okay if I share this on our camp facebook page for all of our parents and campers to read? Thank you for your kind words, Jordan, and for stopping by to leave a comment. I would be happy for you to share my article on your Facebook page. I hope it helps encourage families to experience camp! Love camp! Love, love, love it! Met my best friends there, became closer to God there, and still get “Camp Withdrawal” when I’m away from it too long. I’m 35 and my husband and I still counsel for a week at the church camp we met at. 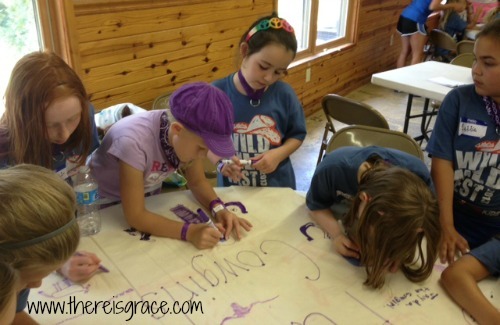 I write books set at a fictional church camp so I can experience it all year long, and now my kids go to camp. Wonderful article! I wish everyone got to experience this. Thanks for stopping by and sharing your camp memories, Jenifer! I was blessed to work at a summer camp from the age of 15 for 7 Summer straight and then came back for a few years in my late 20’s–one thing I know for sure: Camp Changes Lives. Yes, Stephanie…camp sure changes lives! Thanks for dropping in and leaving a comment. I went to church camp 1 time, between my junior and senior years in high school in 1959. That is where I met the girl who would later become my wife. Flash forward to 2006 when we found a notice in our church bulletin about a church camp looking for camp health officers. My wife, an R.N., and I, an E.M.T., answered the ad and thus started several years of volunteering at this camp. We started by doing 2 weeks the first year and then 3 weeks a year for the next 5 years. It was our way to give back to God for all we had been given. We considered it a working vacation. Being able to help the kids have a healthy and enjoyable experience in learning and living in God’s love was a great pleasure for us. William, thanks for sharing your life-changing camp story. What a fantastic testimony to the fact that a camp experience can change a life! Our congregation has had a long term relationship with 1 Bible camp. It allows our parents to trust the staff without having to attend with their children. I’d like to suggest that folks try Family Camp. It’s a great experience all around but especially if you child doesn’t want to be off on their own. Eunice, thank you so much for the suggestion. I’ve not had the opportunity to go to Family Camp, but I have heard good things about it. Our family life was greatly enhanced by church camp. My daughter went for the first time in the 4th grade, and by her 7th grade, I was volunteering as a counselor on her week, which she loved! I kept doing that, and my husband came along, and my eldest daughter graduated and worked on staff as a lifeguard the same year both younger kids were campers and my husband and I were deans for the week! The whole Fam-damily! We all sing the silly songs, and all my kids have spent time as counselors and/or deans. I haven’t counseled in several years but still go to the adult week. We would all list our time at church camp as some of our favorite memories, and many lifelong friends were made there! What beautiful family memories! Thank you so much for sharing, Kathie! Great article! I spent a summer working as camp counselor at a Lutheran summer camp while I was in college, and it helped me discern my call to youth ministry. Now I get to work with children and youth through urban day camps! I’m bookmarking this article and sharing it with others, especially when I start making the case for us to have an outdoor ministry in our area (I’m ready to start pushing for us to start a residential camp). I’ve seen so many kids learn so much at camp. I love being a part of this type of ministry! I enjoyed reading about your church camp memories, and related to many of them. A favorite of mine was singing around the campfire. Those songs will stay with you for a lifetime! In fact, I hope in my ending days I’m able to sing “Give Me Oil in My Lamp” with gusto. But one important facet of church camp has GOT to be that it’s your first encounter with the “girl/boy thing”. (Parents who are freaked out by this idea can stop reading now). Granted, my experiences were more late elementary school and junior high ages. But church camp was where I experienced a very important milestone…my first kiss. And it was still in a controlled, safe environment…somewhere between the banquet and lights out in the cabins. Unforgettable. Ha! Debbie, as a former camp counselor and youth sponsor, I can’t “officially endorse” the camp girl/boy thing 😉 (besides the fact that it can distract from other purposes of camp). However, you’re right…camp is one of the first opportunities for such interaction. And, for the parents who might be concerned, camp is a GREAT way to learn APPROPRIATE interaction with the opposite gender under the supervision of trusted adults. (The key term there being “trusted”!) Thanks so much for stopping by and sharing such fun camp memories! I only got to go to Bible canp once, when I was in high school in the late ’40s. Every time we say the Apostles’Creed, I remember that we were told to say it confidently and proudly…and I still do! There were a lot of other wonderful experiences, including singing led by Oscar Overby of St. Olaf, but that’s the one I most frequently think of. Linda, thanks so much for stopping by and sharing your camp memories! I’m a camp lover too. I started going to our Church Camp’s “Family Camp” with my family when I was very young. Then I went on my own and after high school volunteered as a counselor. I am now a pastor and I know, without a doubt, that church camp was one thing that was a strong influence in my faith development. In fact if you ask pastors, many will say what a positive experience camp was. Blessings to all our camp leaders who make it happen! My daughter spent many summers at our church camp growing up. It is her favorite place in the whole world. She has made so many Christian friendships that last even to this day. She has been a camper, a Jr. Counselor and this year, after her first year of college, she has applied to be a counselor. It’s a great experience for any child. What a wonderful testimony to the influence of camp on a young life. Thank you so much for sharing, Mel! Both of my children have attended summer camp at Camp Calumet in New Hampshire. Each time they return I find they have transformed into better versions of themselves. I would definitely recommend it! Thank you so much for sharing, Susan. You must have some fantastic kids! Thanks so much for the comment, and for sharing your fantastic camp memories! I became a Christian at Church camp. Being from a non- Christian home I went back every summer renewing my relationship with God and learning to trust in Him and walk with him. 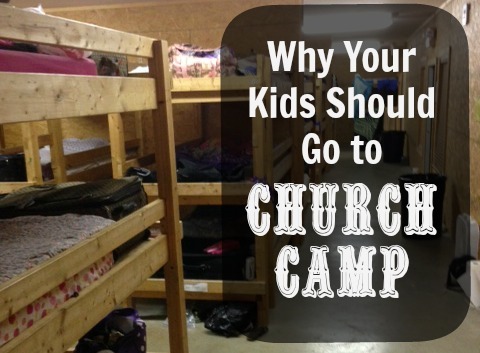 After I got married and had children I decided to take my children to experience camp. Since my home camp was so far away I worked in the kitchen one week. I really found that it was not the place for me because I love being involved with the children and seeing them outside of meals so I asked the director if they had ever had a female speaker before in their chapels. (I had never spoken before but figured I would ask) He said yes. and I asked if he wanted to give me a try next year and he said sure. That was 11 years ago. I have now become a Church camp speaker across western Canada, and started clowning during the year bringing messages to sunday schools and hopefully soon schools. It all started at a Church camp! Deseri, what an awesome testimony about the power of a camp experience! Thank you so much for sharing! and if I may say to myself, a Godly camp… some of them out there could (not pointing fingers, or anything) use a little more Christianity and a little less worldliness….. but anyway. Yes Kate as a speaker I have been to some camps that I felt put Bible in their name just to have it there, but if you research your camps and check their doctrine you should be able to find a camp that focus’ on a growing relationship with God. Across Canada we have CSSM camps (Canadian Sunday School Mission) They are all awesome and have the right focus! If you happen to go to one that is more worldly remember this… Even Christians are not perfect, and if a child is exposed even slightly to the Bible it may be all they need. Good point, Kate. It’s important to do your research and find a camp you can trust! Thanks for stopping by and leaving a comment! I was taken to family camp church camp first when I was 2. We went again and again. I went by myself for the first time at age 10. We moved to another state and found another church camp. That one became home, and still is. I went every summer, to youth camp, and sometimes also to family camp with my parents and brother. My youth camp friends became real friends. We got older, and served on staff together. When I had my own kids, we started returning to family camp. We now drive 800 miles each way to spend a week at family camp every summer. We do this even though most years it is the only vacation we can afford. I watched my kids grow up thinking that camp staff are the coolest people on the planet. When our kids look at camp staff, they are looking at kind, creative, caring people and seeing rock stars. They grow up with the belief that these college students have achieved the ultimate peak of awesomeness. This belief is more deeply entrenched with each passing year. By the time they’re 8, their life goal is to grow up and be on camp staff. And let me tell you, there is no one on earth I want my kids to emulate more than these people. Last year, my son got his chance to be on camp staff. He has been shaping himself his whole life to become the person he is now, the person who is kind, faithful, adventurous, crazy, and caring enough to get hired by his camp. And my daughter has her eyes on the same prize. So, yes, putting our money, and our time, and our vacationing priorities all firmly in the church camp column has paid off. If all that sounds unselfish, then I should add that my husband and I believe with every fiber of our being that this is the best vacation on the planet. It’s not just us in a city seeing sights, or visiting family, (we have done a few of those trips, too) or at a resort doing fun stuff (something we might have done if not for camp coming first, but we haven’t). It’s our family in community with other families. It’s a congregation that forms for a week, then parts, but lasts forever. It’s praising God by singing songs that require jumping up and down during chapel. It’s singing campfire songs under a mountain sky streaked with meteors. It’s getting crazy at a hoe-down. It’s having all those families as facebook friends that still support each other, even if it’s been years since we shared a week. It’s getting to know a new crop of college students who pour themselves into a summer of crazy, exhausting and completely fulfilling work each year. It is a vacation, not for our family alone, but for our family to share in love with friends, old and new. It is re-creation in our lives with Christ, the world, and each other. It’s not a sacrifice we make for our kids, it a joy we embrace with them. We are the lucky ones, because we know the power of church camp. We wouldn’t have it any other way. What fantastic memories, Kim! So well-said. Thank you for sharing! I ABSOLUTELY LOVE this post! I definitely drink the church camp kool aid! I was saved at camp and still serve as a counselor to this day! Thanks for this post! P.S. I just started a blog and would love some professional feedback. I’ve only posted once…about to post my 2nd time! http://www.hideseekjesus.weebly.com Let me know what you think! Let your kid learn and have fun this summer by enrolling them into summer camps.Let yours kids skills developed more by letting them join summer camps that will teach them more. Pingback: Are You a Rock Star Camp Leader? I am 56 years old, my children are grown and I still enjoy working at Sr. High church camp. We make it a place where students can learn through experience and can ask questions of adults who will reason with them from God’s Word without being judgmental of their questions. We encourage them to find faith for themselves. Many of our staff are former campers! Yes! I absolutely love this. I will be a camp counselor at a church camp this summer, and if you would like to donate to my travel expenses, I would honestly be so thankful. Keep sharing the good Word and the love of Jesus! I think that church camps can be a great experience for kids. Like you said, kids can grow more independent at the camp while still being in a controlled environment. If your kids haven’t been away from home much, a church camp is a good first step for them to learn about the outside world. Thanks for the article! So true, thank you for stopping by! I grew up going to Kirkmont Center and it absolutely changed my life. I would highly reccomend church camp to kids of any age! These are some interesting and wonderful points! I never got to attend church camp but I definitely believe I will be letting my children experience this in a future. Thanks so much for sharing your honest beliefs and for providing so many great points to think about! Church camp is some of the best memories kids will make. Thank you for sharing these reasons why kids should experience it! Church camps are such a fun way for kids to make potentially lifelong connections in the church and to integrate worship in activities. Glad your daughter enjoyed her time at camp, thanks for sharing your story! Hi,I read your blogs named “Why Your Kids Should Go to Church Camp” on a regular basis.Your writing style is witty, keep up the good work! And you can look our website about daily proxy. My husband and I have been our junior camp counselors for about 7 years, and we love it! We take our juniors to a camp about 5 hours from home. I totally agree, and tell our parents the same thing about the ‘independence under control’ Our juniors always feel that sense of dependence, yet are well supervised without realizing it! And it’s true, they do learn about keeping a tidy area (with dorm inspections and the dreaded dirty sock award lol), about getting to places on time, about devotion times and about taking time to hide God’s Word in their hearts with memory verse times. They get to see teenagers there who serve approx. 7 weeks of their summer volunteering at the camp, and how much they love it, and get encouragement to do the same one day as they get older. How much we wish every child could experience church camp at least once in their lifetime. No, they were taken at a different campground.